Ladies Lunar Rita Shoe in silver. Available in Sizes 3-8. 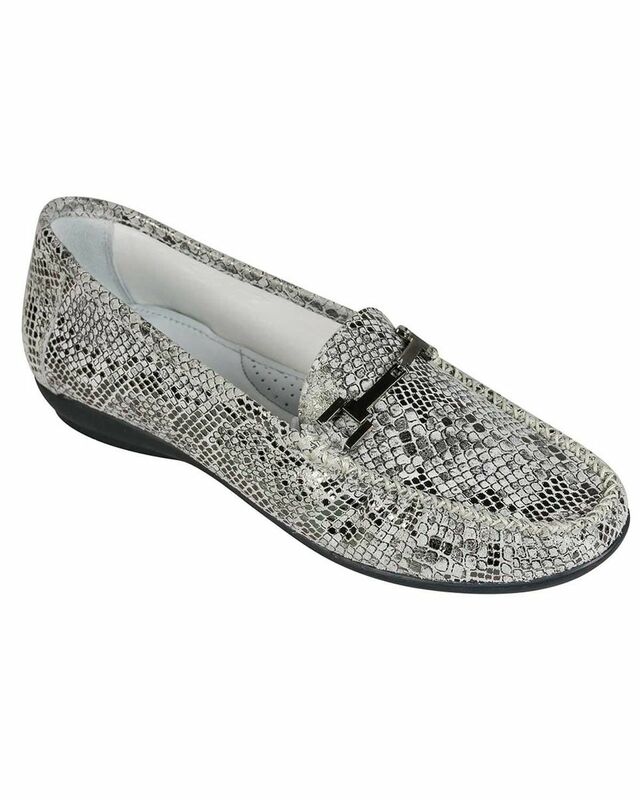 Soft slip on leather loafer in mock snake skin design with decorative trim to front. Manmade sole.